What is Community Supported Herbalism? A CSH Share Membership is offered monthly, seasonally, or annually - choose between a monthly membership to give it a try, a 3 month seasonal membership during which you will receive 3-4 new products each month for the season, or an annual share subscription for continuous herbal goodness. Every package contains a selection of natural remedies and herbal products, all handmade from organic, ethically and sustainably sourced herbs that are either purchased from a reputable source, grown organically in our own gardens, or respectfully wild harvested from local unsprayed areas. The products are formulated to enhance vitality and address a variety of common conditions such as colds, flu, digestion, sleep, stress, and minor skin problems, and reflect which plants are in season. Each box will also include a detailed newsletter that contains in-depth information on the herbs and preparations that are in your box, with ideas on how to use them. 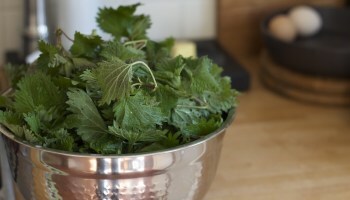 By participating in the CSH, you will gain exposure to new herbs and ways of using them in a fun, seasonally based model and enjoy a wide variety of medicines and product types for all needs - including tinctures, medicinal tea blends, infused healing oils, salves, luscious body care and more! By supporting local herbalism, you are supporting your own good health and a healthy planet. Examples of what might go in your box include herbal balms, salves, lotions, tea, herbal vinegars, elixirs, tinctures, and more! If you don't know what some of those things are, don’t worry, you'll learn! CSH packages now include a self-care ritual that often complements the products received as well as the seasons. The greater the share to which you commit, the greater your savings. All prices are in Canadian dollars. Shipping extra. At this time, CSH boxes are available locally, for free pick-up/meet-up in the Lower Mainland, BC or can be shipped within Canada for $15.00 per box/month or to the United States for $18.00 per box/month. 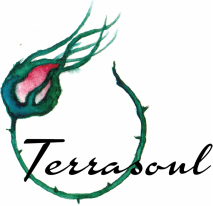 Choose the appropriate payment form and email us at terrasoulherbs@gmail.com if you have any further questions. CSH packages will be ready for pick-up/meet up or to be shipped by the 15th of their designated month.